This paper studies the determinants of the usage of alternative currencies (currencies which exists parallel to the national currency of a country) across countries. We find that monetary stability, financial sector development and a country’s general level of economic development are all positively related to both the likelihood of a country hosting an alternative currency as well to the number of alternative currencies a country is hosting. This suggests that these currencies, in contrast to their historical function, mainly act as a complement to fiat money. We discuss the implications for the role of fiat money in the economy as well as for the welfare effects of alternative currencies. The conference seeks to discuss the social, economic and political significance of multiple currency systems for development. It calls for papers on complementary currency systems, historical experiences with multiple monies, alternative exchange networks, and other practices with diverse means of payment. The II International Conference on Complementary Currency Systems also aims at consolidating the practice of holding a meeting every two years for researchers and practitioners on the topic. It offers space to academics and practitioners alike to organize panels, workshops, and any other session formats that participants see fit to stimulate the exchange of ideas and experiences. In principle the conference will have two strands with academic and practitioners’ activities respectively but there will be various instances for interconnection. The first two days of the conference (June 19th and June 20th) will concentrate the academic panels and the last two days (June 21st and June 22nd) will focus on the practitioners’ activities. The conference will be bilingual (English and Spanish) with sessions organized in either language. Conference fees’ waivers and travel subsidies are available but in great demand. Please submit your request with your abstract, with details on what kind of waiver or subsidy you require and a budget for your travel expenses, if applicable. by Mayumi Hayashi. Japan’s Fureai Kippu (‘Ticket for a Caring Relationship’) refers to mutual support networks of members of all ages, targeted at providing care for older people through exchanges of time credits, sometimes supplemented by cash payments (‘time-banking’). This has attracted increasing attention as a potential contribution to the ‘Big Society’ with an ageing population. However, despite its pioneering role and scale, relatively little is known about the details and outcomes of Fureai Kippu, and meanwhile simplistic and optimistic generalisations predominate. This article, using historical analysis and empirical evidence, seeks to address these gaps by examining the origins of Fureai Kippu, its early expansion, post-2000 slowdown and responses. It considers the practical contributions and varied benefits potentially offered by the system, along with its operational difficulties. The conclusion is that Fureai Kippu is so complex that not only is evaluation difficult but also no universal panacea can be expected from it. This paper presents some key and advanced statistical indicators of time bank participation. 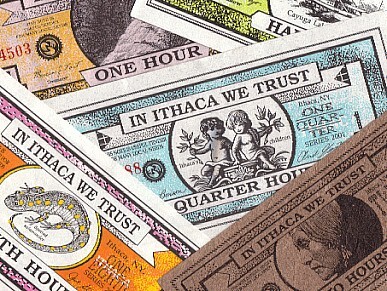 Unlike printed community currencies, time banks record their exchanges in databases. Such transaction data enables researchers to evaluate member participation in these networks across time. Nonetheless, there is very little published scholarship employing time bank transaction data. 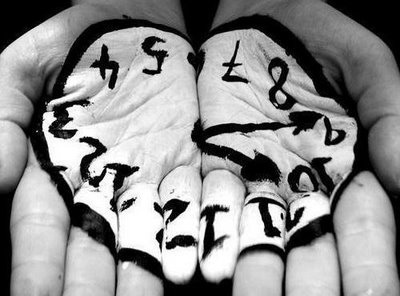 Examples from a U.S. time bank are provided. The suggested indicators are intended to encourage coordinators and scholars to study these networks. Coordinators who track their systems can intervene as necessary. Scholars researching individual time banks can use these metrics to facilitate comparisons of multiple cases in order to better assess the efficacy of time banking. Well over 5,000 complementary currency systems have been established worldwide to date. They range from very large systems, such as the WIR-Cooperation Ring, to small neighbour to neighbour exchange circles. Such a diverse range of currency types has developed that it is almost impossible to get an overview of the whole field. This article attempts to strip CC money down to its basic features and then develop a typology of the various complementary currencies. An important foundation for this is the work of the independent American scholar Edwin C. Riegel (1879-1953), who developed his own perspective on money that is still not accepted by mainstream scholarship. This work was revived and further developed by Thomas H. Greco, a contemporary monetary thinker. Another basis is the consideration of money as a purpose-driven means for the organization of human relations. The article presents an evaluation system that enables the characterization of the vast majority of complementary currencies. The typology derived from it allows for a clearer characterization of the individual systems than was possible with previous approaches. This article is an excerpt from a thesis on complementary currencies by the author in The Institute for Research on Management of Associations, Foundations and Cooperatives (VMI) at the Economic and Social Sciences Faculty University of Fribourg/Switzerland.